In the not-too-distant future, a young man or woman purchasing his or her first upland bird dog will be able to view the official pedigrees of just one registry to find dogs that have been Championed-out within several of the countrys top pointing programs. Up until now, that convenience had never been an option. Previously, it would have required an individual to look at pedigrees of multiple registries in order to verify Championships within different organizations. To alleviate this, there is an old and respected registry making a new splash within the fastest growing pointing dog programs in the country; its a win-win situation for pointing dog clubs and pointing dog enthusiasts. 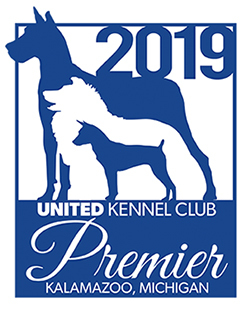 Within the last ten years, United Kennel Club has burst onto the pointing dog scene and currently recognizes Championship titles for three unique pointing dog programs, with more on the way. A glance at a UKC pointing dog pedigree will let you know which program a dog titled-out in and if he titled in more than one type of program. A UKC registration certificate on your next pup means he is eligible to participate in, and have his Championships recorded in, some of the fastest growing pointing dog programs in the country, such as UKC field trials, UFTA field trials and NSTRA field trials. The UKC Field Trial Program is a blend of opportunities not previously offered to the bird dog world. Closely resembling the rules for European pointing dog events, this program is a walking trial designed for companion gun dogs of all pointing breeds. It is a program that combines the best of both the field trial and the hunt test formats. Under typical hunt test formats, dogs are judged against a standard and are either determined to have met or to have not met the criteria for their breed, ability level, etc., based on said standard of performance. In this way, by being non-competitive between handlers, the atmosphere of such an event is friendly, helpful and supportive. Dogs do not have to beat other dogs to earn credit towards a Champion title. Under typical field trial formats, dogs are simply awarded a place, and only the top three or four dogs receive credit. The UKC Field Trial program is designed to award pass/fail credit as deserved for all entries but also recognizes outstanding individual merit. Its fun, and its rewarding. In 2009, UKC entered into an agreement with the United Field Trialers Association to officially recognize UFTA Championship Titles on UKC pedigrees. The United Field Trialer's Association provides a competitive venue for dog handlers who appreciate having a fair and consistent system for measuring their dogs performance. The UFTA's scoring system for field events eliminates potential error or bias on the part of the judges. The UFTA rules and objectives are really quite simple. With a twenty-minute time limit, you hunt a seven to twelve-acre field to point, flush and bag three birds. You are allowed six shells to bag the three birds, and your dog must retrieve to within one step of you for full credit. Each shell you use results in a deduction of points, as will a partial retrieve. Once you bag your third bird and leash your dog, the time stops, and you are awarded two points for each minute you have left. To put it simply, the team that finds three birds the fastest and has the most shells left wins! In 2012, UKC entered into an agreement with the National Shoot To Retrieve Association to officially recognize NSTRA Championship Titles on UKC pedigrees. National Shoot to Retrieve Field Trial Association, Inc. was conceived by a group of hunters in the late 1960s as a way to extend the normal open upland bird hunting season from a few weeks to a longer period of time. Their common goal was to foster the growth of walking style quality type field trials for all pointing breed dogs. Incorporated in 1978, NSTRA is a non-profit association with service to the members and sportsmanship as its goal. Over the last 40 plus years, NSTRA has developed as an organization that sponsors field trials across the United States and Central Canada. Over 1,000 local field trials are held annually for seasoned competitors and dogs as well as amateurs. Points earned in these trials are accumulated to earn Championships for the dogs as well as qualify them for regional and national competitions. Their rules are easy to understand, and points are scored for each find and retrieve, ground coverage, obedience and backing. Using this points system, the dog with the most points wins! United Kennel Club encourages pointing dog owners to look into the above-mentioned programs and to get out and enjoy these opportunities to have healthier, happier dogs. In 2015, UKC entered into an agreement with the National Bird Dog Circuit to officially recognize BDC Championship Titles on UKC pedigrees. Founded in 1995, The National Bird Dog Challenge Association (N.B.D.C.A.) was formed by local Iowa game farm owners to provide their members an opportunity to draw to an end the grillroom debate of who in fact owned the best upland hunting dog. That year 23 competitors attended their inaugural championship and the game was started. In March of 2011 the ownership of Bird Dog Challenge changed and the new organization was named the National Bird Dog Circuit. The National Bird Dog Circuit has a broad scope and appeal. This is true whether discussing the divisions offered at our tournaments; youth to Masters, our geography; upstate New York to Southern California, the number of states where our members reside; 27 plus 2 Canadian Provinces or simply the number of states where tournaments are hosted; 24. The National Bird Dog Circuit has something for everyone. It is The Ultimate Challenge. There are several associations that offer a wide variety of events to choose from in the Pointing Dog program! The Pointing Dog Officials all play an important role in keeping the sport alive.